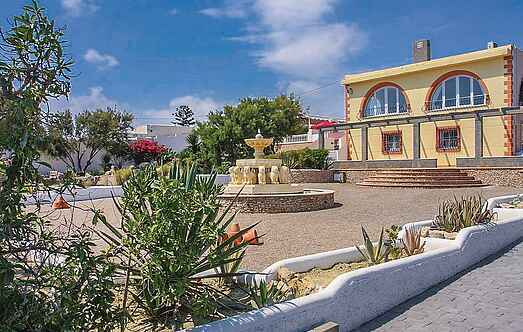 Choose from a selection of 22 holiday rentals in El Ejido. Use the search form to the left to filter the results and pick your choice of self catering accommodation in El Ejido. We have a good selection of holiday apartments in El Ejido perfect for family, single, romantic and group holidays. You may prefer to take a look at our listed holiday villas in El Ejido or holiday apartments in El Ejido. Find your holiday homes by a specific type using the property type drop down in the filter. Filter the holiday homes in El Ejido by a specific area using the area list above. On a private beach of Guardias Viejas you will find this fantastic holiday home. Private hideaway with own pool for a totally relaxing holiday. Quiet location but also close to beach. This spacious 3 bedroom apartment is situated on the first floor of the Port Fino Complex. The main door opens onto the pool surround. This is the ideal location for a relaxing family holiday. This luxury 2 bedroom apartment is situated in the Porto Fino Complex which is in a central location for supermarket, marina, bars and restaurants. It is ideal for those who do not wish to drive and are looking for a relaxing holiday. 2 bedroom 1st floor apartment with glass front terrace offering views of the main swimming pool complex, lake, gardens and the sea. It is on the Laguna Beach complex which has excellent facilities and is ideal for a relaxing family holiday. This luxury 3 bedroom apartment is situated in a central location and is ideal for people who do not wish to drive. Almerimar is the ideal place for a relaxing family holiday and this apartment has an extremely large terrace which would give more than enough space for children to play. 2 bedroom 2nd floor apartment with glass front terrace offering views of the small swimming pool, gardens and the sea. It is on the Laguna Beach complex which has excellent facilities and is ideal for a relaxing family holiday. This 2 bedroom 2nd floor apartment has a glass front terrace offering views of the small pool, gardens and the sea. 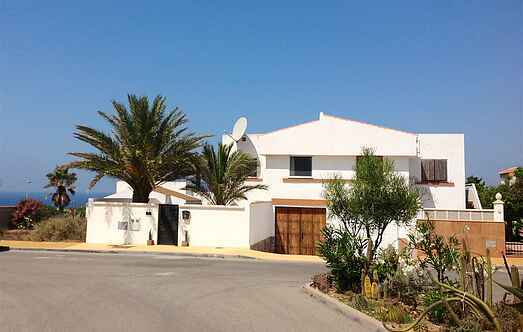 It is situated on the beautifully landscaped Laguna Beach complex in Almerimar. 3 bedroom 2nd floor apartment with glass front terrace offering views over the Laguna Beach complex which has excellent facilities and is ideal for a relaxing family holiday. This 2 bedroom 4th floor apartment is situated in the Porto Fino Complex, which is centrally located and is ideal for those who do not wish to drive. There is a small terrace with patio furniture and sea view. 2 bedroom penthouse apartment with glass front terrace offering sea views. Private roof terrace with barbecue and patio furniture for al fresco dining and loungers for sunbathing. This 3 bedroom penthouse apartment is centrally located in Almerimar.It is in the Porto Fino Complex making it ideal for those not wishing to drive. Almerimar is a small quiet town with a beautiful marina and is the ideal place for a relaxing family holiday. This 2 bedroom third floor apartment is on the Porto Fino Complex, which is centrally located and is ideal for those not wishing to drive. Almerimar has a slow pace of life and is an ideal place for a relaxing family holiday.